Chefs Kevin & Lucy moved from Edinburgh to Hastings in June 2018 to take over popular St Leonards restaurant St Clement’s. Citing Hastings Fish as a major motivation for moving to the area, we caught up with Kevin to find out more about what he loves about Hastings Fish and how they use the local catch on their menu. 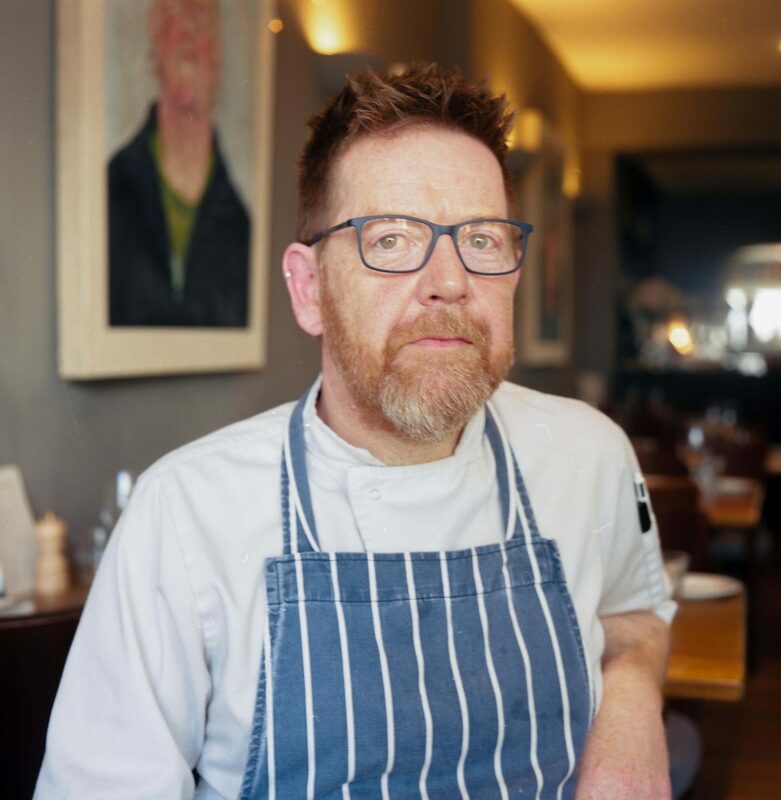 “We ran a restaurant in Edinburgh for 15 years but decided to move to Hastings in June 2018 largely because of the fishing fleet. In Scotland you get fresh fish of course, but the bigger boats out of Peterhead can often be out at sea for over a week. In Hastings, fish can be on the plate just hours after being caught. Take gurnard for instance - in Scotland we mainly get grey gurnard so I didn’t realise that fresh red gurnard from the south had a marvellous aquamarine edging on their fins when they’re really fresh, which disappears over a few hours after its caught. In Scotland it’s over looked as a second rate fish but down here, because it’s so fresh, we serve it up with some shallots, garlic, spinach, mashed potatoes and a butter sauce and it’s really delicious and really popular. I love the seasonality that comes with working closely with a local fleet - it’s important to keep in touch with the seasons, plus it’s nice to not have everything all of the time because when you do get it, it’s really good and it feels a bit more special. You really feel it if the boats aren’t able to go out due to the weather too, it reminds us of that special relationship with nature. When it’s fresh here, it’s really fresh - unlike anywhere I’ve known. The plaice on our menu today for instance was likely caught in the early hours of this morning! Grilled whole plaice with some hand cut fries and salad in a caper and lemon butter is one of our most popular dishes. Because the fish is so fresh and such good quality, people respond best to simple dishes that really respect the ingredients. Hastings folk are so adventurous when it comes to eating fish in restaurants, dabs for instance - I would have never cooked them up in Scotland but down here they are so fresh and they’re proving really popular. We use Arcade Fisheries for all of our fish, we rely heavily on them and trust them implicitly to recommend what’s good or recommend something more suitable for a dish or budget.